Publisher: Medikal Akademi Yayıncılık ve Prodüksiyon Tic. Ltd. Sti. Target members of E Journal of Cardiovascular Medicine are cardiologist, cardiovascular surgeons, internal disease specialists and family practitioners. We target worldwide readers. 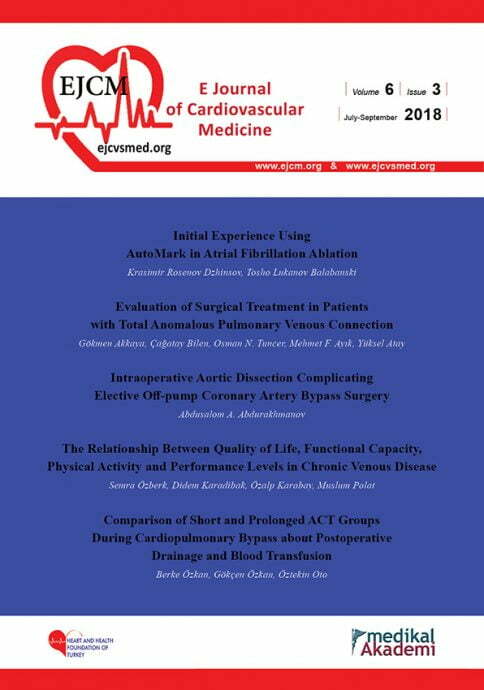 E Journal of Cardiovascular Medicine is a unique platform that meets Industry and Healtcare professionals for essential exchange on the latest products and services available for improvement in patient care.